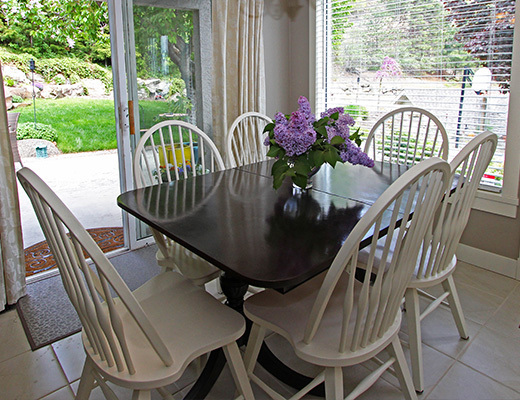 A great choice for your next family vacation, this 3 bedroom suite offers all the amenities of home and room for up to 6 guests, all for less than the price of two hotel rooms. 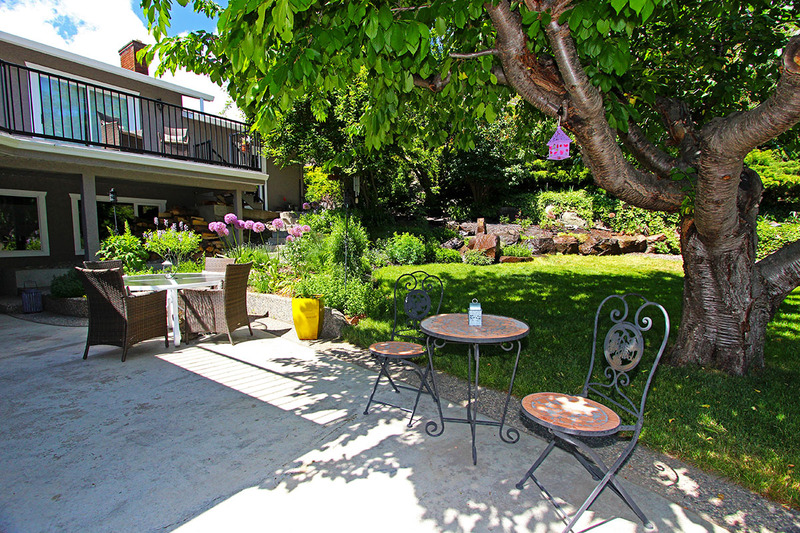 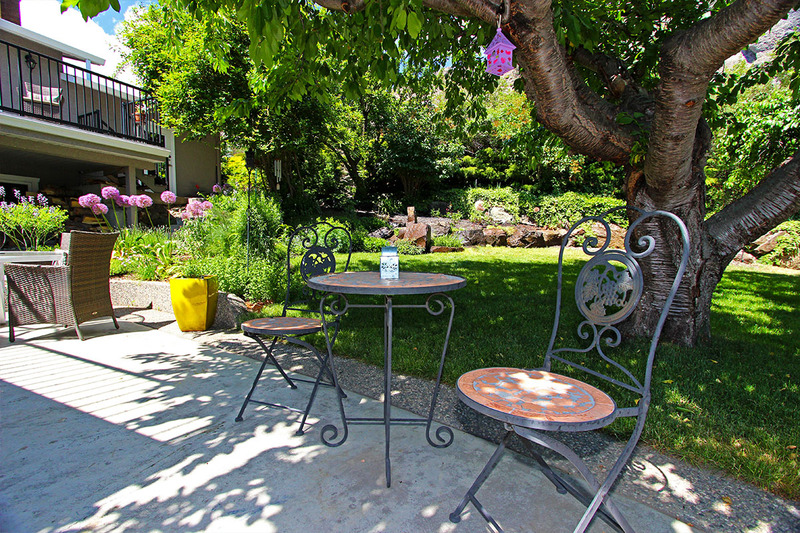 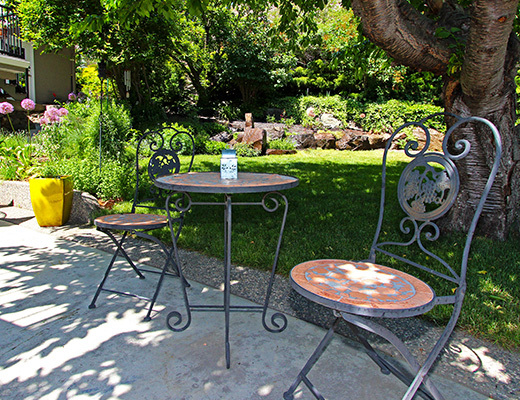 The bright and spacious main level walks out into a beautiful garden shaded by fruit trees. 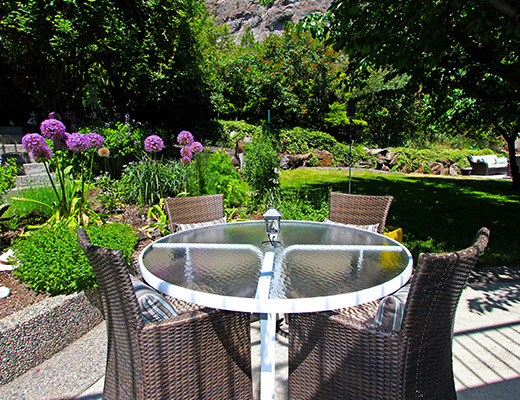 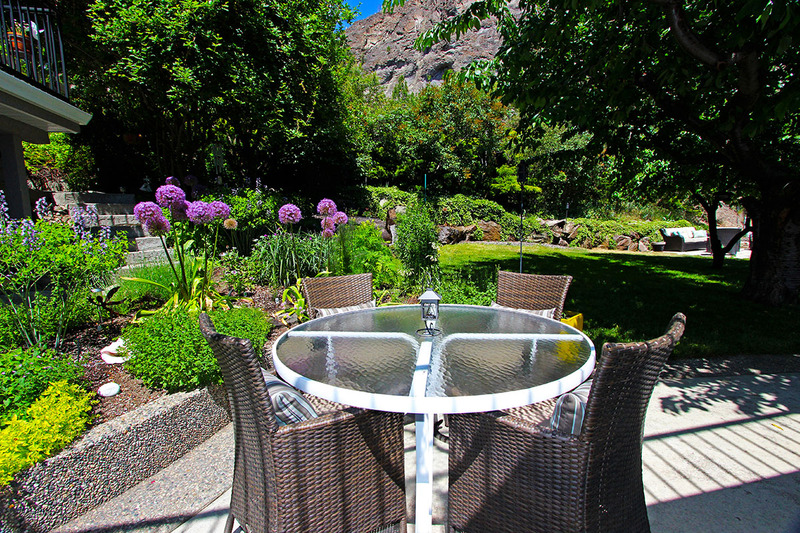 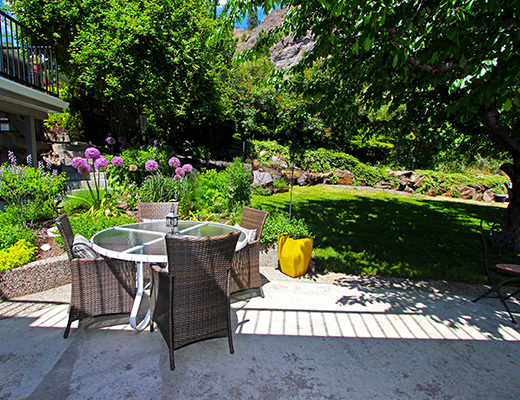 This property backs on to a towering rock cliff and offers an impressive valley view. 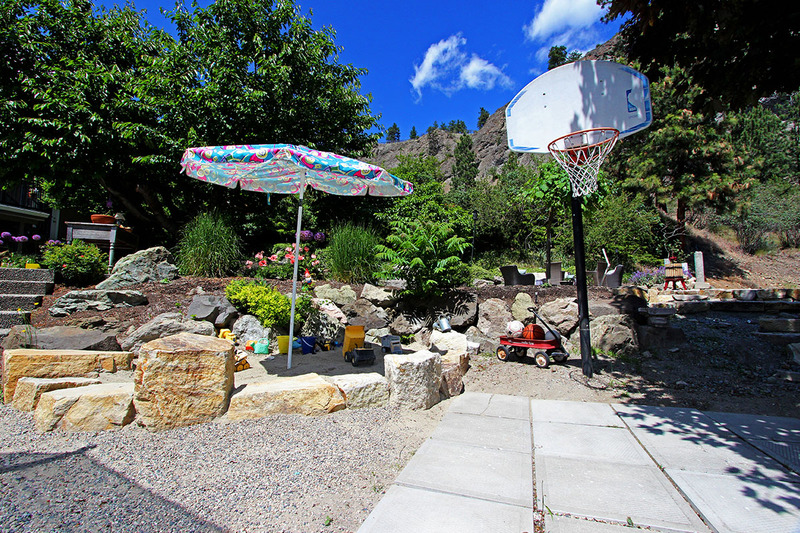 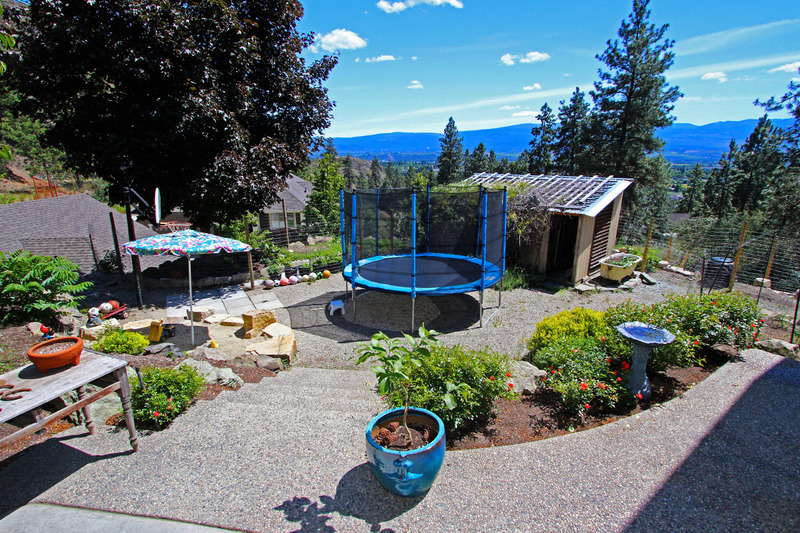 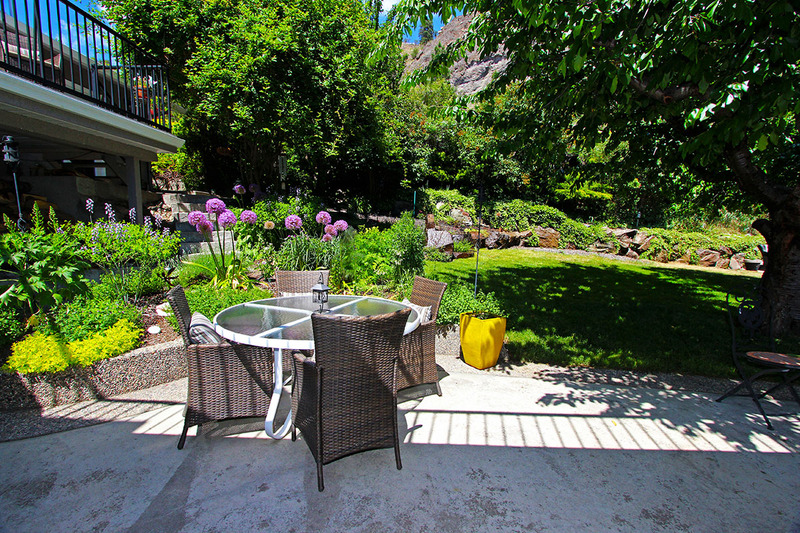 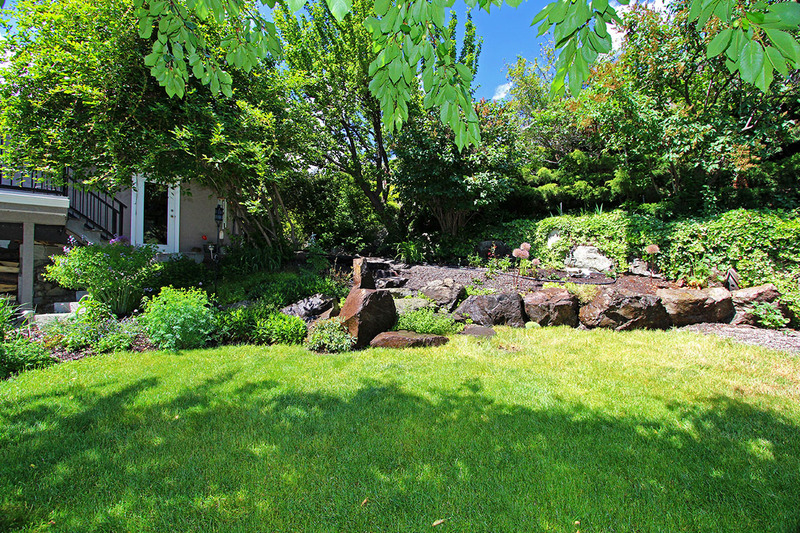 A nearby park, located just a couple of minutes walk from this home offers an impressive view over downtown Kelowna and Okanagan Lake and easy access to Knox Mountain Park. 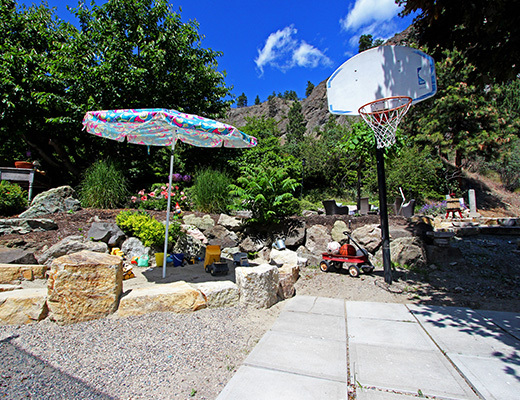 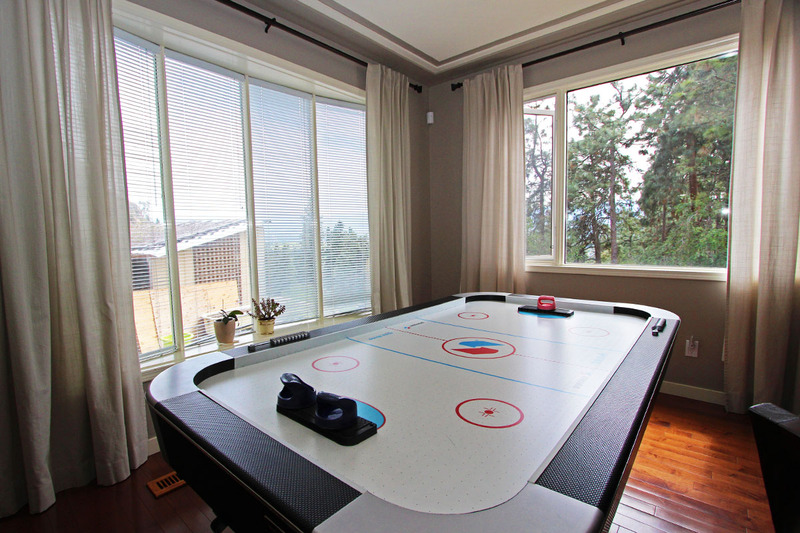 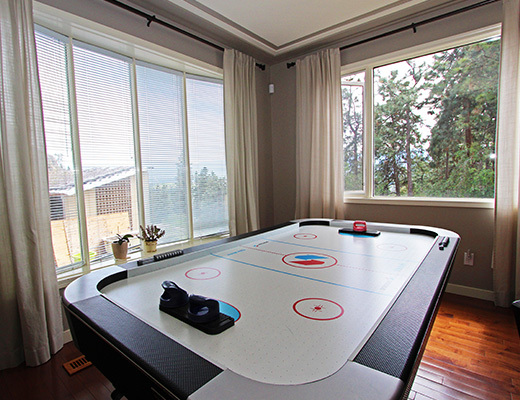 An ideal choice for families with children, this home has lots of extras to keep everyone in your group entertained, including a trampoline, sandbox, air hockey table and comfortable outdoor dining area. 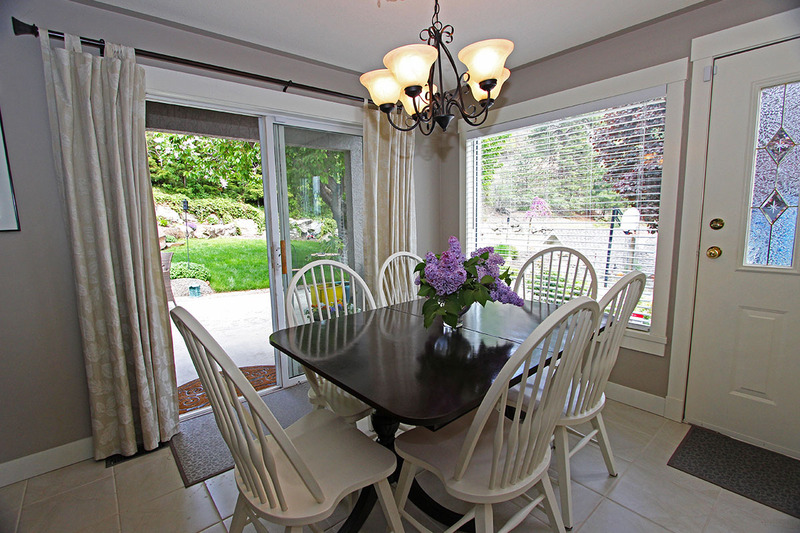 Inside guests enjoy a full kitchen, dining room table for six and an open living area with wall mounted flat screen TV. 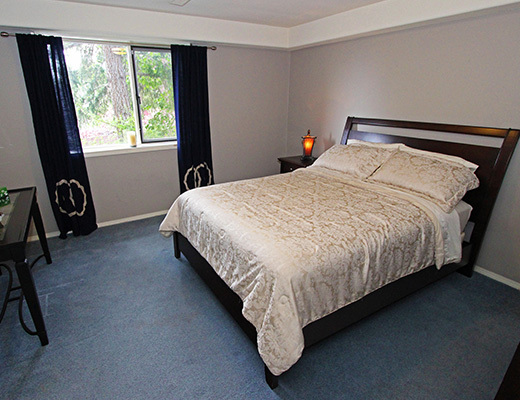 The master bedroom is furnished with a Queen size bed, while the second bedroom on the main level offers a Single/Single bunk bed. 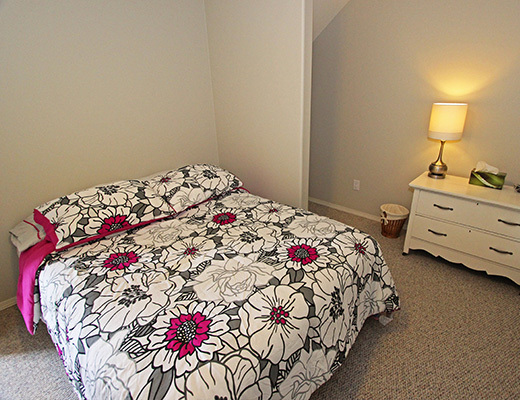 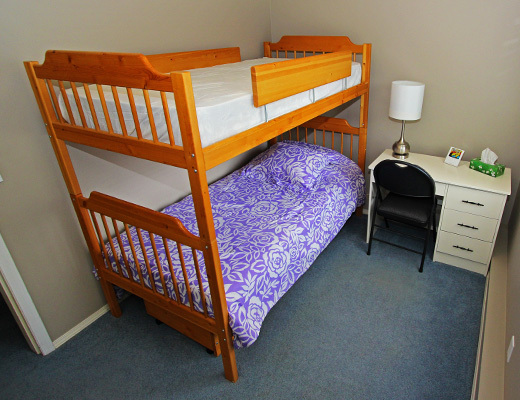 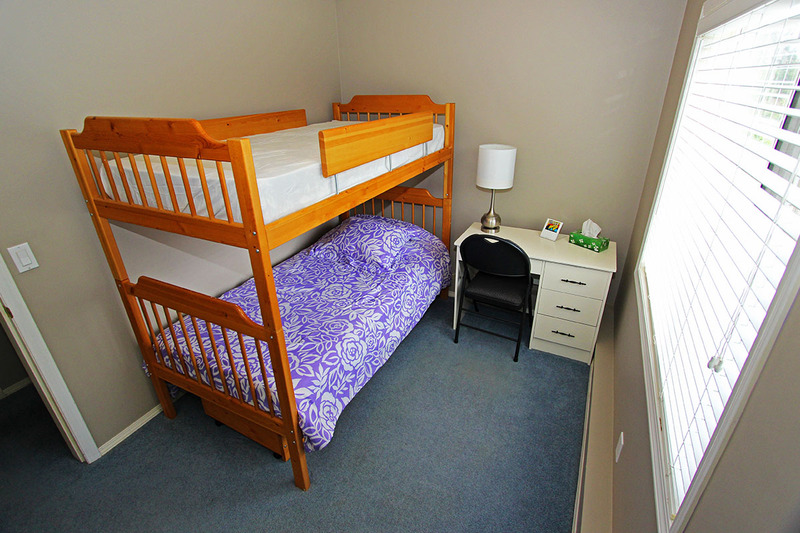 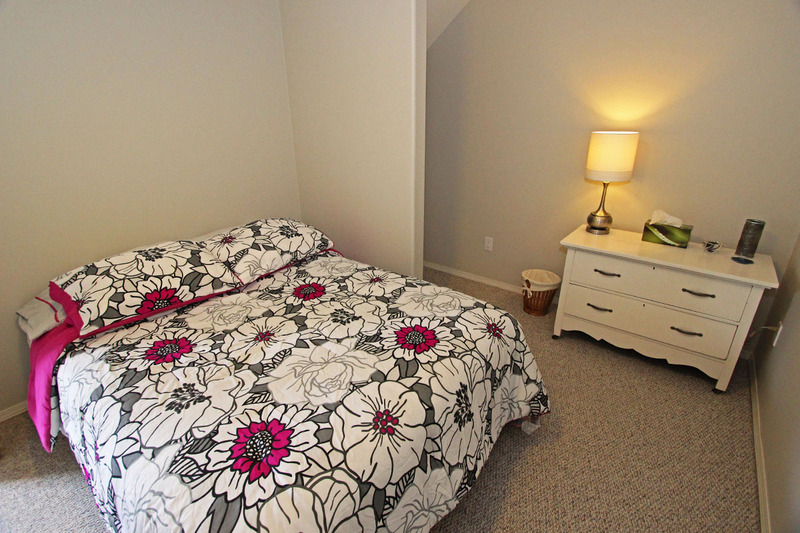 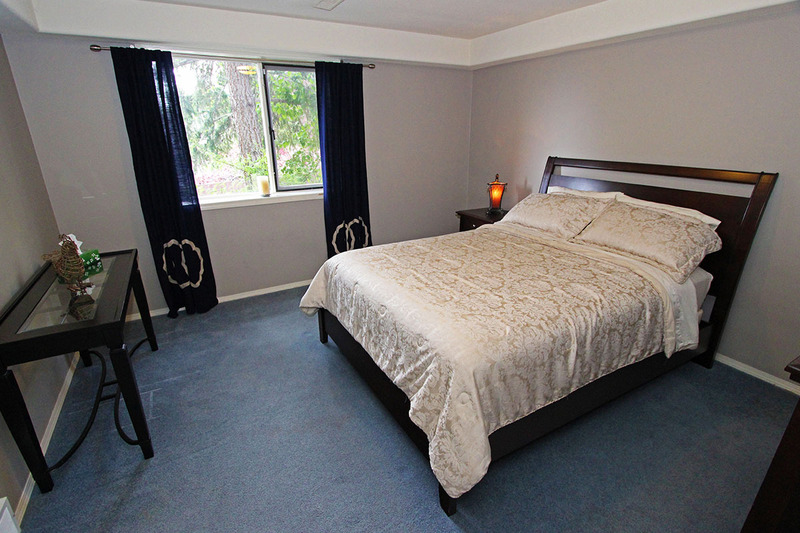 The third bedroom is located on the lower level and is furnished with a Double bed. 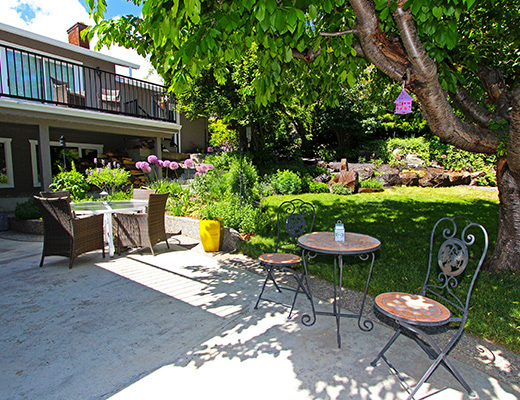 Guests enjoy private laundry facilities and a separate patio area from the upper level of this home. 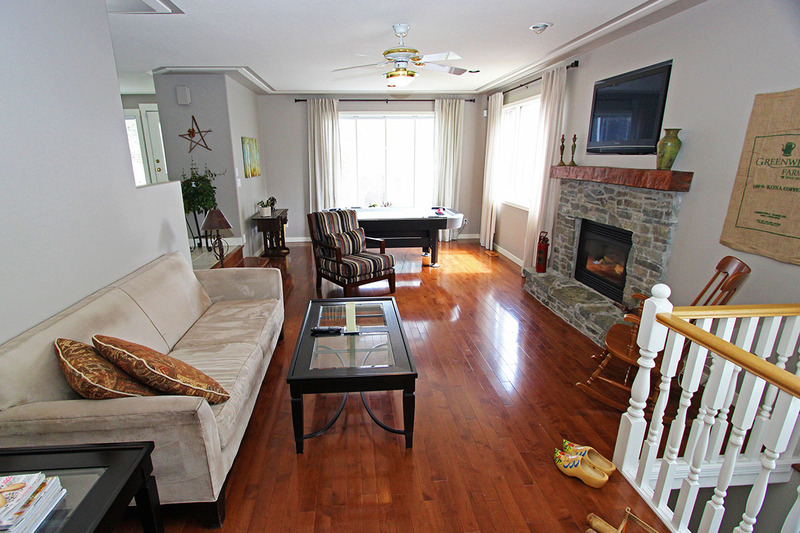 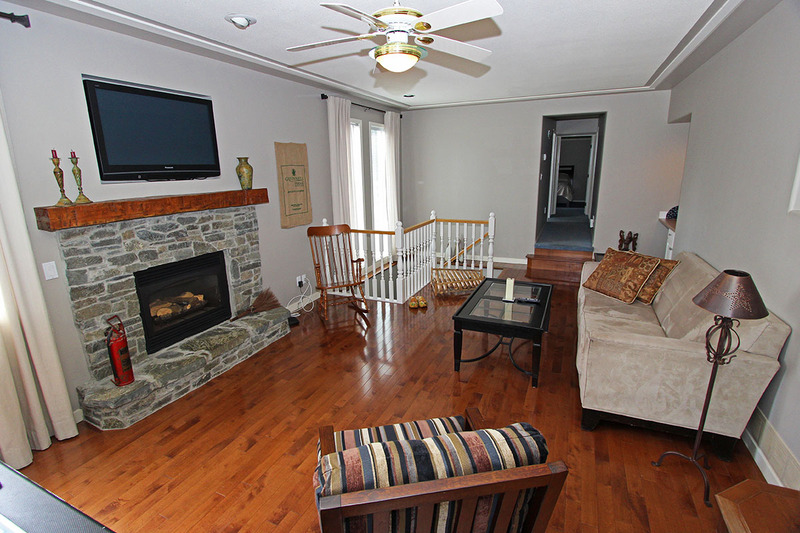 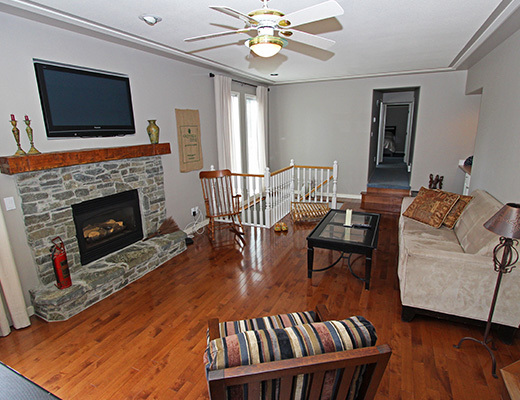 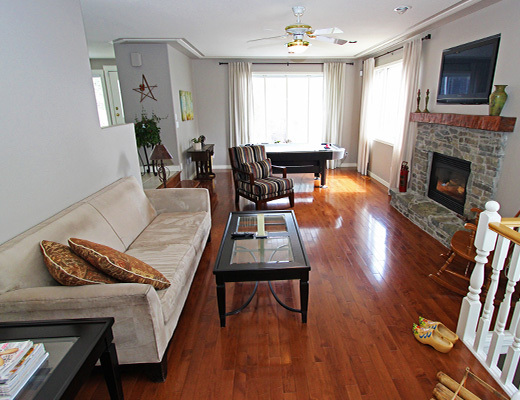 Special Note: This property is a lower level suite with a private entrance. 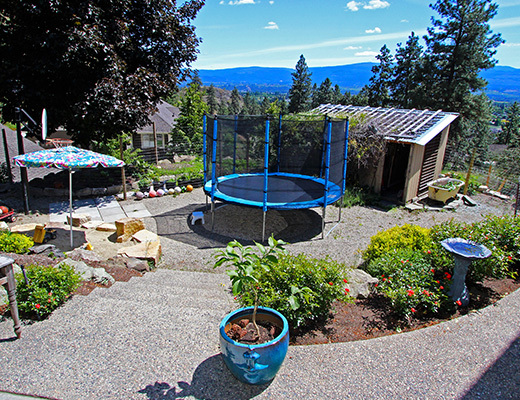 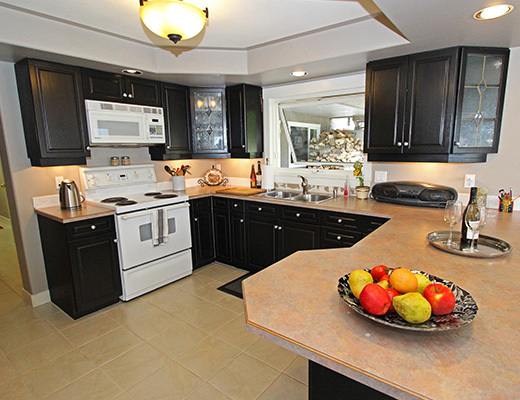 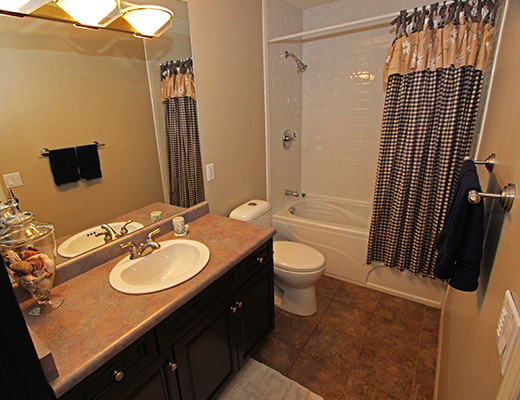 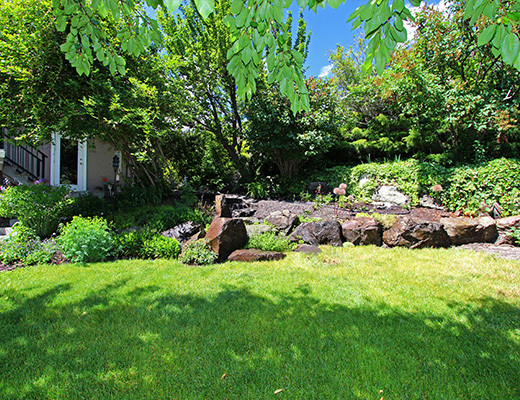 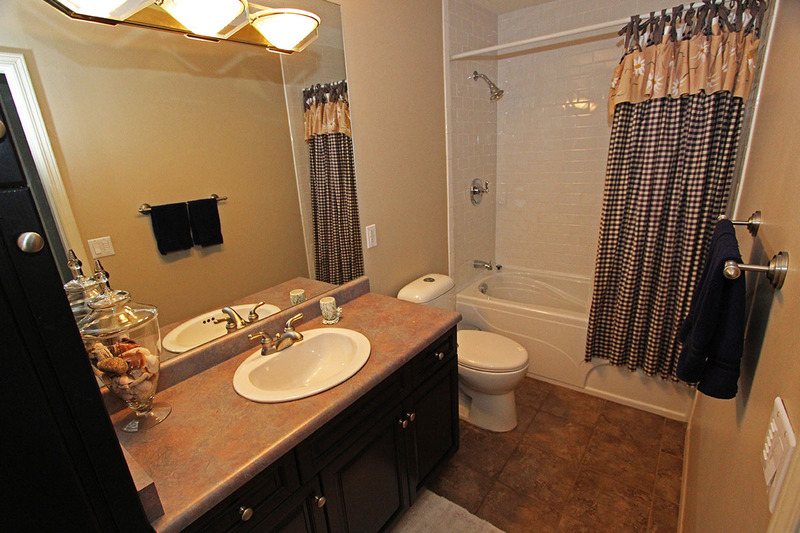 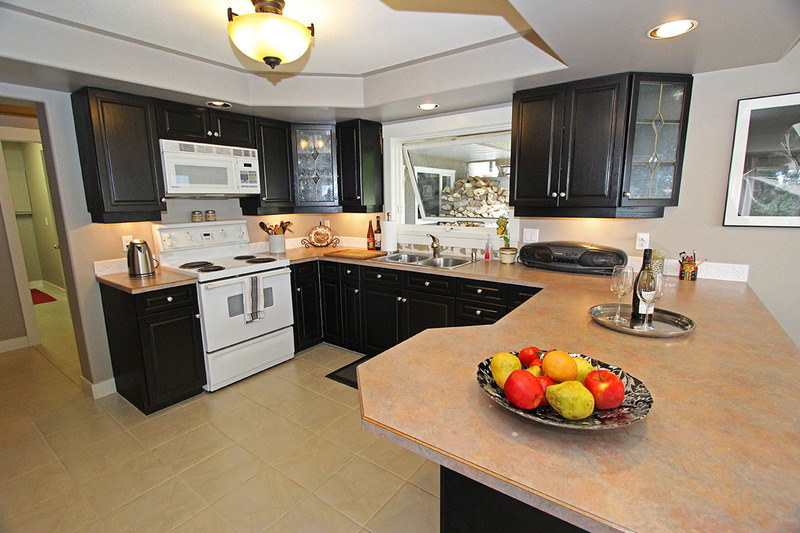 Property owners live on-site, however this home is setup for vacation rental and guests privacy is assured.